Mine is higher ! No, mine ! 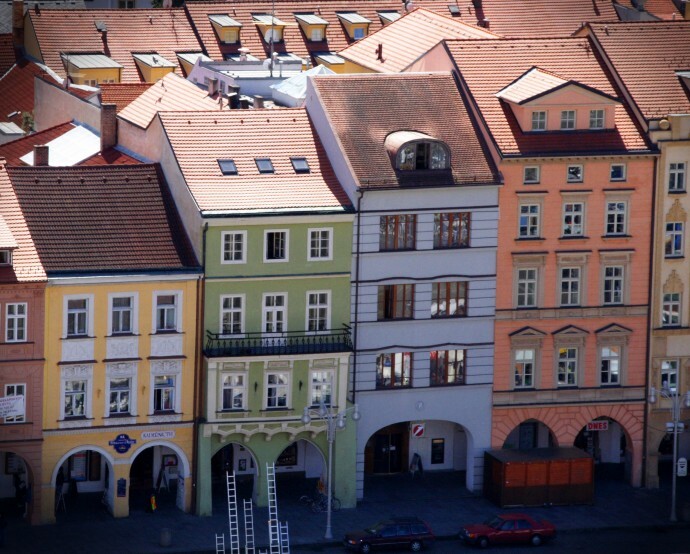 Colorful houses along the main square of České Budějovice, Czech Republic.